The following articles on the blog are from the June edition of the Forest Hill Society Newsletter. Paper copies are delivered to all our members - if you have not received your copy please contact us. To view all the newsletter articles in one go click here. 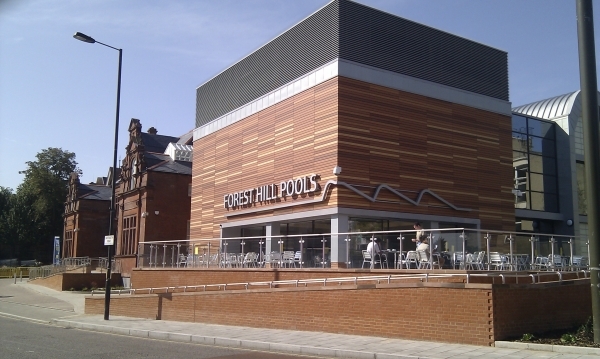 We kept the Newsletter shorter this time to reflect the summer lull but we hope you’ll still find plenty of information about what the Society gets up to – and what is happening around Forest Hill. 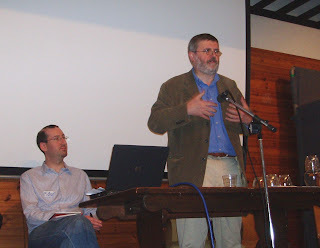 Since the last Newsletter, we’ve had another chance to exchange views at our General Meeting on May 10th. It was great to see so many members there and to welcome new ones. The Mayor of Lewisham, Steve Bullock, was the Guest Speaker and dealt with a wide range of questions including the future of Forest Hill Station, playgrounds and traffic. We were also joined by representatives from the Horniman Museum discussing the plans for the Gardens. See the latest update on this story here. The Forest Hill Post Office on Dartmouth Road is to close down and relocate to WH Smith in front of the station. The move is supposed to happen by the end of next summer and is part of a nationwide strategy for creating a “sustainable network of flagship Post Office branches.” But what will it mean for local residents? Forest Hill Post Office is among fifteen in London, which will be moved into a local WH Smith branch. Mayor Steve Bullock told the FHSoc General Meeting that he was “deeply suspicious” of this proposal and described it as a “straightforward attempt by the Post Office to put commercial interest above public service obligations.” He says he is making his concerns known to Post Office Ltd.
WH Smith, unsurprisingly, insists that in the six locations across the country where this move has already been piloted, it’s been a success with customers welcoming “the pleasant environment, good levels of customer service and convenient locations.” And the Post Office believes this commercial decision makes sense because the two businesses have a lot in common. But let us put aside for a moment the arguments about whether or not the relocation of post office business into the private sector is a Good Thing or not. There are other very local concerns about moving our Post Office into the WH Smith store. Is the retail space available actually big enough to accommodate a busy post office with long queues? What happens to the site vacated by the Post Office? Will it become yet another gap on our high street? Of course, the optimistic view is that this could be a great opportunity. WH Smith may decide to redevelop their premises to fully exploit this new line of business. At the same time, money is being directed at Forest Hill Station in coming years to improve accessibility and to make it ready for the ELL. Perhaps these projects could somehow come together to produce the town centre we’ve all been waiting for – the town centre envisaged by Lewisham Council not so many years ago when it said the station should be relocated to the WHSmith site. The local councillor, Philip Peake, says the current proposals from the Post Office are short on detail and promises he will be pursuing the issue. UPDATE: Jim Dowd Lewisham West MP has also organised a Parliamentary petition urging the Secretary of State for Trade and Industry to use his powers to ensure that the Post Office does not reduce the level of services currently available to customers under its new partnership agreement with WH Smith. And, of course, the Forest Hill Society, is on the case! Since the last newsletter, there have been traffic management improvements to Honor Oak Park and Honor Oak Road. 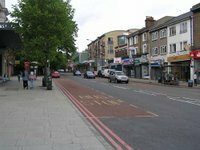 We are pleased that Lewisham Council has done something to improve the quality of life for residents on these busy roads but we are concerned that the speed bumps (or pimples!) do not seem to be big enough to slow down the HGVs. We will be investigating the possibility of getting a Speed Sign, which tells drivers when they are going too fast. stopped the leaking water at the Esso Petrol/Tesco Food store on the junction of Honor Oak Road and London Road. But we will continue monitoring the area to ensure that the water leak does not reappear. The Forest Hill Society has lobbied hard to alert people to the threatened reduction in our London Bridge train service. So we were delighted on 9th March when our local MP, Jim Dowd, raised the issue in Parliament. He asked the Transport Minister for reassurance that the benefit of the East London Line Extension would not be diluted by cuts to other services. Gillian Merron, the Transport Minister, replied that no final decision about timetabling had been made and hoped that this would “reassure” Jim Dowd’s constituents. It does not! Her whole reply seemed to suggest that a reduction in the train service to London Bridge was a given. We’re maintaining our campaign on this important issue. The Forest Hill Society and other local community groups were congratulated in Parliament for putting so much work into analysing the implications of the ELL project. So the campaign is definitely having an impact in the right places. The Society is currently reviewing a proposal for the redevelopment of Pizza Hut and the Red Cross shop on Dartmouth Road. The plan is to refurbish the shop units and to add flats above. There’s also an application to convert part of Blockbusters on London Road into a William Hill betting shop. Unfortunately, our options are limited here since this is more a matter of licensing than planning. However, we are actively looking into this because we know it concerns many people. We always like seeing SE23 get the recognition it deserves in the media. But when ‘Time Out’ magazine featured the One Tree Hill Allotments (Tree Amigos, February 21) there was some unhappiness about the way the journalist portrayed the plot holders. So, Ian White, the vice chair of the One Tree Hill Allotments Society, thinks it’s time to set the record straight. When ‘Time Out’ came to the One Tree Hill allotments, it was to attend the Wassail - a festival held in January in praise of next year's apple crop. But the article seemed to portray the good denizens of Forest Hill and Honor Oak as hippies, crusties and New Age travellers. Now, we may be an exceptionally enlightened and liberal community, but the journalist did exercise a large degree of artistic license. The allotments are close to Honor Oak Park Station. It’s a challenging area being clay and on a hill. It covers nine acres and holds 70 plots. Over the last few years, the very active committee has cleared large amounts of rubbish, created better access, reinstated derelict plots and created new ones. The result is a thriving community with plots fully occupied and a waiting list. Many think of flat caps and 'Dig for victory' but members are from all walks of life, across the age, cultural and ability (both physical and gardening) spectrum. You will see a variety of gardening styles, from formal regimented rows to Cottage Style gardens. Organic/sustainable activities are encouraged as are measures to support wildlife through set aside areas, tree planting, bird and bat boxes and a number of ponds. This has resulted in a wide variety of fauna and flora. Plot-holders share and take part in communal tasks and hold events including barbecues, Apple days, Green Man Fayres and Bonfire night. You may now understand why some members were annoyed at the incorrect picture ‘Time Out’ portrayed. The magazine focused on one aspect of the activities of the Permaculture group who rent just one plot. Even more frustratingly, ‘Time Out’ could not get the musical instrument right in the article. It isn't a Tambourine, but a Bodhran! Could this be Forest Hill's Next Beauty Spot? For my neighbours and me, there's just one thing that spoils our enjoyment of life in Forest Hill. We live on Stanstead Road (the quiet part, round the back of the South Circular) and our houses look out on bricks, thousands of bricks, in the form of Travis Perkins' enormous warehouse wall. In front of the wall is an ugly 3 metre-wide strip of paving, currently home to a motley collection of scrubby bushes and fly-tipped rubbish. Last autumn, we called the council to see if they could plant some trees. But then, an article in Lewisham Life about the community garden at Brockley Cross caught our eye. If they could do it there, could we do the same here? We contacted the Forest Hill Society to see if there were members on Stanstead Road who could support us. In January, we had our inaugural meeting and the Stanstead Road Garden Project was born. John Paschoud, our local councillor, found out who owns the land, set us up with a dedicated email address and gave us good advice. The next step was to find a garden designer. A couple of phone calls one rainy afternoon yielded fantastic results when Saina Tebble of "Gardens by Design" in Kemble Road, uttered the words: "I'd love to work on your project, and I'm happy to do it for free!" Not only that - the next day she visited Travis Perkins and Shannons garden centre next door and won promises of free or cost-price materials and plants! The environmental regeneration charity, Groundwork, will help with funding bids and have promised the services of their 'Green Team' who will help with the heavy labour. Envirowork Lewisham has also pledged support. In fact, everyone has been very positive, with many neighbours offering help and saying how nice it will be to have an opportunity to meet each other. Plans for the garden will soon be circulated to the street. The feel is Mediterranean and herby, with creepers to cover the ugly wall, beautiful trees, and plants to attract birds and bees. There will be flowerbeds for children to experiment with and scented and textured plants for older people to enjoy. We're hoping to involve local young people, too. In our previous issue, we looked at facilities for young people at the Rockbourne Centre. Now, Mary-Anne Finkelstein of our Leisure Sub-Committee looks at what’s on offer for older members of our community. There’s a stately-looking building on Stanstead Road that has always appealed to me: “SENIORS,” says a colourful, hand-painted sign in front of the building. So when I was asked to look into resources for older people in our community, this was my first stop. “Seniors” is a registered not-for-profit charity, the official name of which is Lewisham Elders Resource Centre, run by and for people aged 50 and over. Their patron is Rudolph Walker, OBE, known to most of us as Patrick Truman on Eastenders. The house itself, which is Grade II listed, is undergoing a £1.5 million refurbishment to make it completely unique and accessible; the charity has raised about half their target amount already. Phase One, now completed, meant replacing the crumbling roof, and Phase Two will see the beautiful conservatory to the side of the building restored to its former glory. Two advisers work from the building, helping anyone 60 and over to fill in benefits forms and such like. There is an open surgery on Thursday mornings, or a home visit can be booked by ringing 020 8291 1164. A lifetime membership costs £1; the charity encourages contributions and runs various fundraising schemes to cover costs. However, says Mary, money should not be a bar to anyone wishing to use Seniors as a resource. 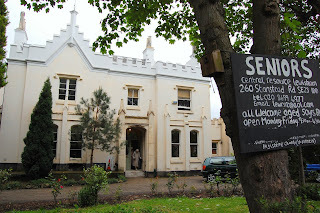 Seniors is located at 260 Stanstead Road, SE23 1DD. Buses 185 and 171 run past the front door. With names like Ruddy Darter and Broad-bodied Chaser to inspire the imagination, Dragonflies are every bit as exciting as their fire-breathing counterparts. 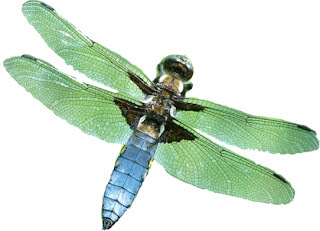 And, unlike the fire-breathing variety (rarely spotted in SE23 since the arrival of fried chicken outlets and nail parlours), dragonflies are on show in Forest Hill – if you know where to look. These beautiful insects have been around for more than 300 million years – that’s 55 million years longer than the dinosaurs - although back then they could have a wingspan of up to one metre. Like so much of our wildlife, their existence depends on streams and ponds. The dragonfly’s larvae live in water for as long as 7 years before emerging. So, as our ponds disappear and streams are diverted underground, dragonflies have fewer places to breed and their numbers dwindle. There aren’t many big ponds in Lewisham so, again, the Devonshire Road Nature Reserve is a vital haven. Azure & Large Red Damselflies, Southern Hawker, Black-tailed Skimmer, Broad-bodied Chaser and Common Darter have all been recorded in the ponds there in recent years. Now is the perfect time of year to observe their incredible ability to fly forwards, backwards and sideways. Dragonflies love the sun so a warm day between late morning and early afternoon is the best time to see them. The Horniman Museum is planning a major overhaul of its much-loved gardens and has carried out the first stage of its consultation process. All the suggestions and comments made by local people and users of the gardens have been passed on to the landscape architects, Land Use Consultants (LUC), who have now produced their first draft design. On 18th June, two members of the Forest Hill Society Committee – together with representatives of other local groups - were invited to view these plans. LUC – one of the UK’s leading environmental and design consultancies – presented its vision for the Horniman Gardens. LUC explained that the Horniman Gardens have evolved in a piecemeal fashion over the years and, as a result, there is no cohesive design to the layout. There is little integration between the Museum and the Gardens. The design team wants to rectify that and devise a garden, which creates a closer relationship between the two. As a result of the consultation, several key requests came up again and again. Adults wanted water features. Younger users of the Gardens wanted to keep the kick-about area and remove the dog poo from the grass! The designers want to realign many of the existing paths, getting rid of some completely, so that there is a more fluid feel to the Gardens. They feel this will help people move naturally from the Museum itself into the centre of the Gardens. The focus of the Gardens would be the central avenue, which would be upgraded. They suggest relocating the hugely popular (but not very attractive) animal enclosure closer to the back of the Museum so that it is better integrated. The existing sunken garden could be given a water feature of some sort. The hardstanding around the bandstand is seen as a problem area, which has become an eyesore over the years. LUC suggest reducing the width of this area by bringing in additional planting. They would like to improve the panoramic views by removing some trees. The designers want to restore the bandstand. This would include restoring the glazing at the back. The old paddling pool/kick-about area would be turned back into a more natural pool as part of an expanded nature area. This pool could be linked thematically with the Horniman’s new aquarium. The pool would be fed by harvesting water from the hardstanding area via a series of small pools. Another quite radical idea is to bring the Nature Trail into the Gardens by changing the existing boundaries of the cycle path and footpath (obviously, subject to approval from Lewisham Council). The designers feel the Nature Trail is an underused resource partly because it is a dead end. So they would like to build some kind a facility at the Langton Rise end – London Wildlife Trust have expressed an interest – or perhaps key worker housing. This would then provide access to the Nature Trail from that end and the buildings would bring a form of passive security. The designers suggest introducing a wild play area at the South Circular end of the Nature Trail for young children. Instead of metal climbing frames and swings etc it would make use of natural materials such as sand, gravel and logs for children to explore and climb. A more teen-friendly facility could be located over the road in the Horniman Triangle. The Horniman team was at pains to stress that these designs are at a very early stage and some of the points mentioned above have already been modified. Nothing has been decided yet and, indeed, no funding has been secured. So this is still very much a work in progress and it’s good to know that they value the input of local groups and users. Those of us at this meeting asked a lot of questions, made a lot of suggestions and these were noted and will feed back into the design process. For example, there were concerns about the realignment and loss of some paths. And there was a plea to keep the kick-about area because it is such a good meeting point for older children. So, the design process continues. Eventually it will form part of the application for Lottery funding. If that bid is successful, the final design details will be worked out. This is a long-term project and it’s important for local people to stay involved. We’ll keep you up-to-date with developments via our website and Newsletter. The Queen's birthday honours included a knighthood for Forest Hill resident Steve Bullock, the mayor of Lewisham. Congratulations to Steve from the Forest Hill Society. Summer is well and truly here which, for many of us on the Hill, means dodging the Stag Beetles in the evening as they fly around in search of a mate. The spell of good weather also means that all the Open Days, which seem to be happening in SE23 this month, should be well attended and great fun. So why not pack a picnic hamper (plenty of local food shops where you can pick up supplies) and make the most of the world on your doorstep? 9th/10th June – Devonshire Road Nature Reserve Open Days – 12-4.30pm. This truly is a hidden gem in Forest Hill, tucked away behind the houses and running along the railway line. It’s normally open on the last Sunday of the month, but it’s open on the 9th June as part of the London Open Garden Square Weekend. There’ll be music, a plant stall, wine tasting and refreshments. The following day is the Big Open Day, which promises a drum workshop, garden tour, storytelling and a variety of LIVE amphibians and reptiles on display in the visitors centre. Food and refreshments will be provided by Provender and All Inn One.